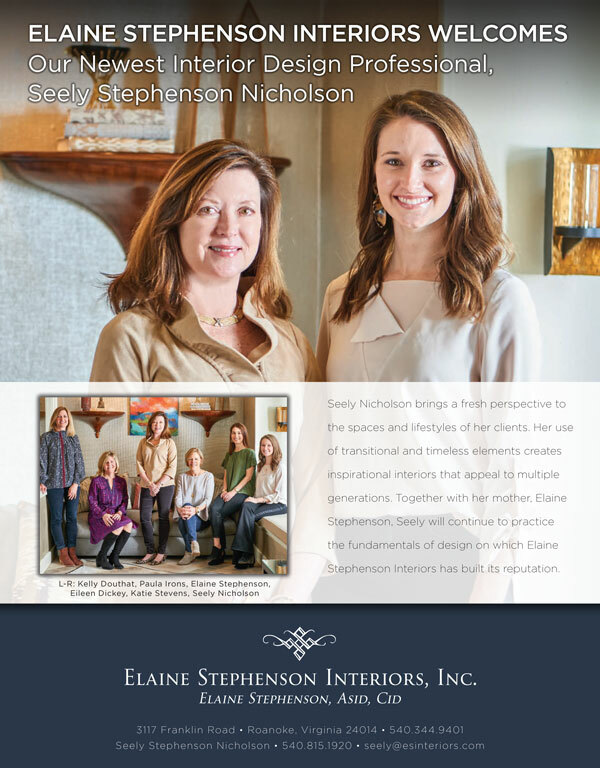 It’s that time of year again when the frigid weather seems to drag on and on and we begin to look forward to warmer days, vibrantly-colored trees and flowers and of course, spring cleaning. Okay, maybe not all of us are looking forward to the cleaning part, but it really is true what they say—a clean home is a happy home! There’s the usual purging of closets and cabinets, deep cleaning floors and disinfecting kitchens and bathrooms. These are areas in our homes we see, feel and smell on a regular, daily basis. When making your to-do list before spring rolls around this year, however, don’t forget to look up, for the tons of nooks and crannies that usually stay out of sight and therefore out of mind and get overlooked much of the year. Now is the perfect time to tackle those hard-to-reach areas begging to be cleaned, to ensure your home is in exceptional condition from top to bottom. When cleaning any room, it’s ideal to work from top to bottom thanks to our friend, gravity. For example, you will want to wipe down crown molding and dust ceiling fans and light fixtures first and foremost, before the dust and dirt that have been built up all winter long will fall naturally to the furniture and floor below. Here are some ideas for tackling the most neglected areas in your home and getting it ready for spring. Start with the highest and most likely ignored area in the house—the ceiling. Now is the time to touch up any areas that may have chipped paint, scratches, or marks. 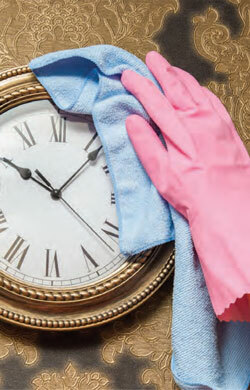 Check corners for cobwebs and get rid of them with a high-reaching feather duster or vacuum attachment. Wipe down any crown molding using your favorite cleaning solution and a soft, clean cloth. If you want to try making your own all-purpose cleaner, mix together in a spray bottle two cups water plus ½ cup white vinegar plus one teaspoon dish soap plus one teaspoon baking soda. Spray the surface lightly and wipe clean with a microfiber cloth. Ceiling fans and hanging light fixtures also attract dust and dirt. Wipe the blades clean with a duster, cloth, or an old pillowcase, so you can dust both sides of each blade at once while catching the dust inside the pillowcase. While you’re up there, wipe down any light fixtures and replace burnt-out light bulbs. Though air filters should be replaced regularly throughout the year, it is a good idea to clean air vents in the ceiling, wipe down smoke and carbon monoxide detectors and replace those batteries as well. If applicable, consider scheduling a chimney sweep, particularly if your fireplace was in frequent use during the cold, winter months. Chimney sweeps should be done every two years or so. Dust around any hanging mirrors, picture frames and wall décor and wipe down the top of your refrigerator, microwave, shelves, high-up cabinets and tall furniture—bookcases, for example. When doing this, be sure to remove any decorative items rather than just dusting around them. Windows are probably some of the most tedious areas to clean, but well worth it when the job is done. Start by taking down and washing any curtains or valances. If you need to save time, or they are not that dirty, try vacuuming the window treatments instead. Dust or wipe down window blinds, shutters and the trim, once the areas near the glass are free of dust and dirt. 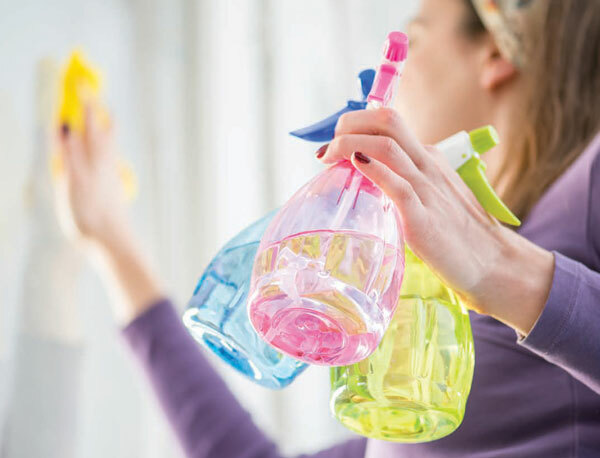 One homemade glass cleaning solution that really seems to do the trick and leave windows streak-free is two cups warm water plus ¼ cup white vinegar plus one tablespoon cornstarch. Mix it all together in a spray bottle, spray directly onto the window and wipe with a clean, lint-free cloth. Use a separate, dry microfiber cloth to dry the windows. Wash windows on a cloudy day to ensure the sun will not dry the cleanser before you are finished wiping. When it comes to spring cleaning, we tend to focus on the inside of our homes; don’t forget the outside as well. Now is the perfect time to pressure-wash siding and wash the outside of the windows. Remember to work from top to bottom to avoid having dirt run onto clean areas. Inspect your gutters to make sure they are clean and free of debris before April showers roll in. 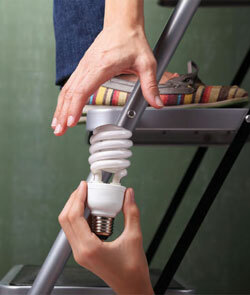 Check for cobwebs in high-up corners and replace any outdoor light bulbs as needed.